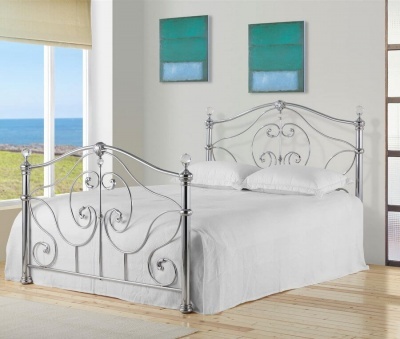 A great choice for the master bedroom. Panelled detailing to the head and foot-boards add a romantic air. Classic styling that will last the test of time. With its sprung slatted base for extra comfort and prolonged mattress life the Harmony bed will give you a great nights sleep. Hard-wearing stone white lacquered finish that is a similar colour to magnolia paint. The dimensions of the Harmony king-size bed frame are: H110 W162 L210 cm. Fits a standard UK 5ft 150 x 200 mattress. Easy self assembly required. Full instructions included. The only tool you will need is a cross head screwdriver.